Limited Space – Register Now! Offline for activities and guided conversations – proven to be game changers for many! What to do with your perpetual problems. How to solve your solvable problems. Skills to know and understand your partner better. Why nurturing fondess and admiration is vitally important and how it’s possible to rekindle. Appropriate responses to your partner’s desire for connection. Why giving value to your partner’s thoughts and ideas is beneficial for YOU. How to create shared meaning and create a relational legacy worth passing dow. How you can support each others dreams and why it will make your marriage better. How Gottman can predict divorce with over 90% accuracy so that you can AVOID the pitfalls he is watching for that will eventually be the demise of the relationship. Designed to help couples who want a great marriage! John Gottmans’s 30+ years of research and practical application has proven success helping couples manage relational stress and helping them avoid the most damaging behaviors. You will gain tools to foster fondness and admiration and learn how to have conversations that accomplish what you really want. This workshop can be a good starting point prior to couples coaching or therapy. Gottman’s tools and strategies work because they are not based on opinions or their own experiences but on decades of scientific research. Dr. John and Julie Gottman are world-renowned relationship therapists who founded the Gottman Institute, right here in Seattle. 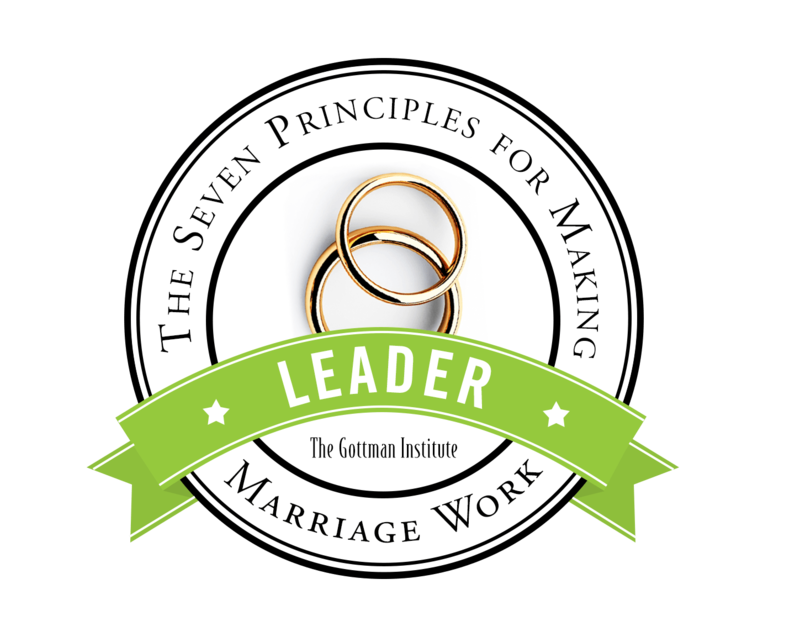 ONE TICKET includes all fees, the book The Seven Principles For Making Marriage Work, two workbooks and lots of fun, inter-active learning for you and your partner. WHO WILL BENEFIT FROM THE SEVEN PRINCIPLES WORKSHOP? Couples that are contemplating engagement. Couples in committed, long term relationships, 1-50 yrs. Couples that want to enhance their relationship. One on one time with your partner. Time to try out our research based tools. To laugh and have fun while learning. Teaching based on Gottman’s research. The opportunity to enhance your relationship satisfaction. Relationships dealing with domestic violence. Addicts who are not in recovery. Those with untreated mental health problems, including extreme anger. Couples dealing with severe verbal or severe emotional abuse. Severely distressed marriages, unless both partners are ready to start a new chapter in their lives.